We have dentists available to see you as soon as possible, giving you the best chance of holding on to your natural teeth. CALL US NOW on 9276 1540 we can help. If you are an adult or your child has knocked out or cracked a tooth. Scroll down to find out what you should do before you see our dentist at ADDC Dental. Have you bitten on something that has resulted in a broken cracked tooth. Don’t worry we will do our best to fix it. Accidents are part of life and dental injuries can happen in a wide variety of ways. Children can be prone to picking up knocks along with sports injuries resulting in a broken cracked tooth. Sometimes you can suffer from a chipped tooth or a cracked crown simply by biting down on something unexpectedly hard. Your steps following a dental injury will depend on its nature but for most you may need to act quickly. If you don’t need attention of any other kind after an accident that takes priority, you should get to a dentist as soon as you can. If outside of normal opening hours, you can visit a dentist. 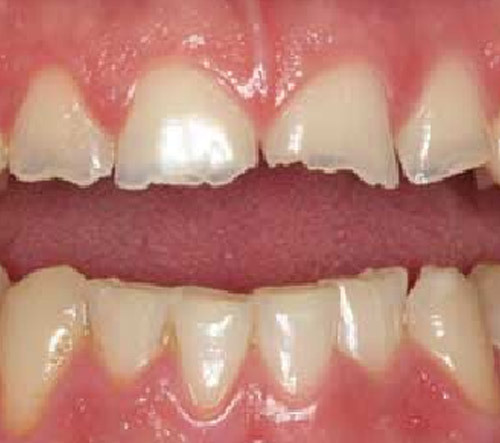 Modern dentistry makes it easy to repair and prevent further damage to a broken cracked tooth. What to do if your adult tooth is knocked out. If the tooth has been knocked out but is still intact, you should attempt to’re-implant’ it back into its gum socket. Before you do this, clean it by rinsing it in milk. Do not rinse the tooth with water, as this will damage the cells that line the roots. If you manage to get the lost tooth back in your gum, bite down on a clean handkerchief to keep it in place until you can get to your dentist for first aid treatment. If you cannot get the tooth back into its socket, keep it either in milk, or saliva. A good solution is to hold it in your mouth between your gum and cheek (taking care not to swallow it). Call ADDC for any dental help. Has your baby knocked out a tooth? What to do if your baby knocks a tooth out. Call ADDC Dental on 08 9276 1540 for dental help. For a broken cracked tooth, treatment will vary on the severity of the damage. If the tooth fragment is broken and is intact, store it in milk or saliva (preferably the patient’s). For minimal damage, your dentist will likely use a tooth coloured filling, called composite bonding, to even out the appearance of the tooth. However, if the chip impacted on the ‘pulp’ at the centre of the tooth, then the nerves and blood vessels within may die. If this is the case the damaged tooth will likely need root canal treatment. Your dentist will carry out tests to help establish if the nerve is damaged. Why do teeth crack or break? If you have a broken /cracked tooth, consider it a dental emergency and call a dentist right away! While broken teeth can range in size and severity from a chipped tooth to a completely knocked out tooth, any dental trauma warrants immediate attention. Even though you might not feel any pain, there may be damage to the tooth or its roots that you don’t know about. And this damage may eventually lead to pain or tooth loss. An dentists may be able to save an damaged tooth so it’s important to book in for an appointment sooner to give them the best chance. 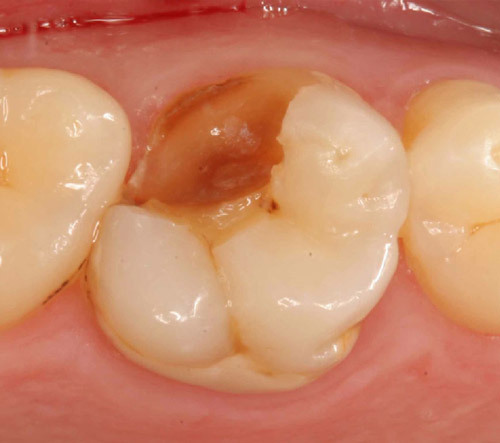 Dental treatment for a broken cracked tooth depends on the severity of the break. A tooth filling is used to fix breaks to the outer part of the tooth (the enamel). A dental filling may also be used for a more serious break involving the enamel and inner layer of the tooth (dentin), but often a dental crown is necessary in these cases. Other injuries that could occur include fractured cusps, cracked teeth or split teeth. Cracks that get all the way to the root will need root canal treatment or even removal, so it’s important to let a dentist take a look as soon as possible. An accident isn’t something you can prevent, but there are a couple of things you can do to lower your risk of a broken tooth should you come in harm’s way. Always wear a mouthguard when playing contact sports. Mouthguards protect not only your teeth but your lips, cheeks and tongue, too. Avoiding certain foods can also lower your risk for broken teeth. Stay away from hard foods such as tough breads, hard candy and popcorn kernels. And don’t use your teeth to pry open packages or bottles.